CHICAGO, ILLINOIS. 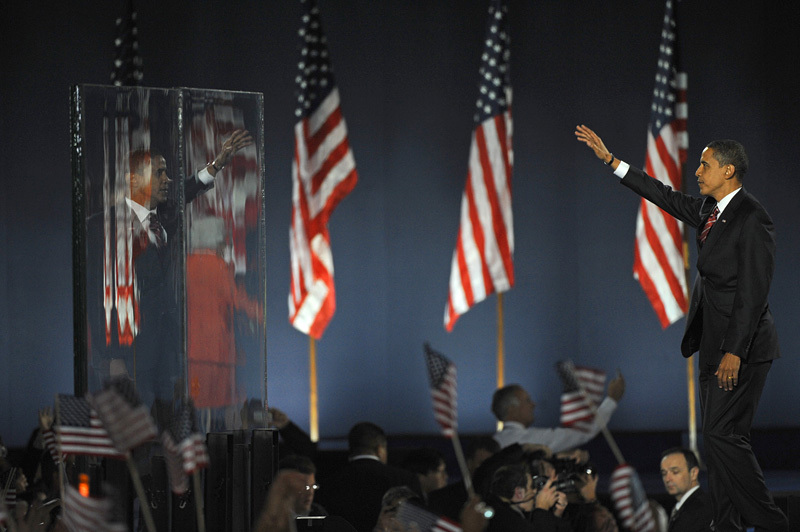 Democrat Barack Obama waves to his supporters in Grant Park, Chicago through bullet proof glass after winning the U.S. presidential election, defeating Republican John McCain, to become the 44th U.S. president on November 4, 2008. Obama gave his victory speech to a crowd of just over 200,000 supporters.